Girlguiding Scotland, along with Education Scotland and Skills Development Scotland, has launched the country’s first digital activity badge designed to encourage girls of all ages to develop the skills they need for their digital future. The new programme will teach young girls about computers, algorithms, creativity, design, and computational thinking, as well as highlighting career options in the industry. Fun activities and challenges have been created for Rainbows, Brownies, Guides and Rangers so girls of all ages can get to grips with technology – from mixing beats to animating adventures, and designing wearable tech to creating a robot maze. 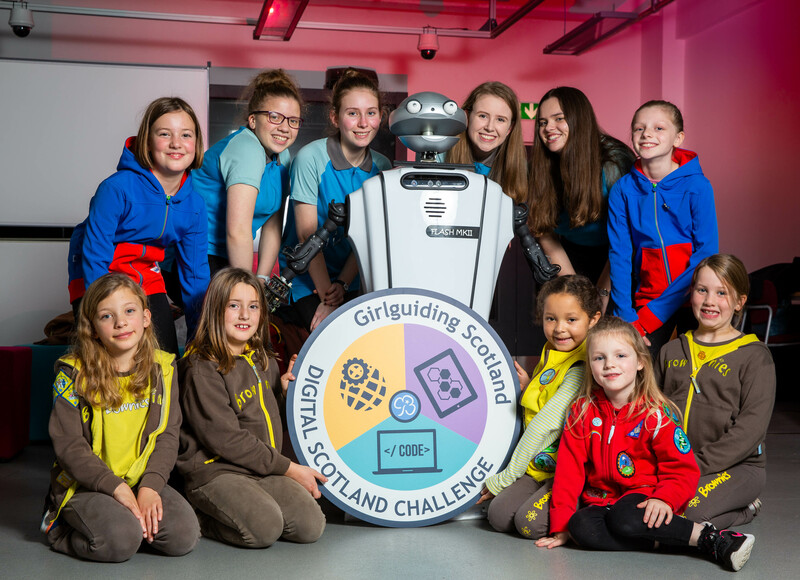 The Girl Guides launched the badge at Heriot Watt University with the help of some cool robots.